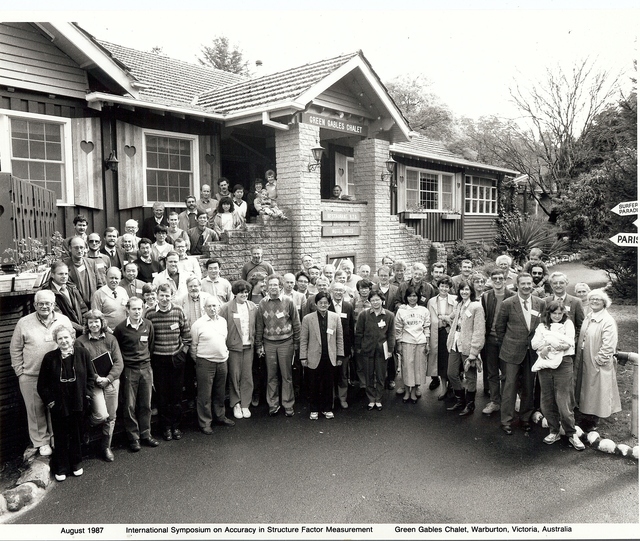 Participants at the 1987 International Symposium on Accuracy in Structure Factor Measurement at the Green Gables Chalet in Warburton, Victoria. A separate identification key is available. Individuals named in the key are I. Robinson, D. Schwarzenbach, P. Suortti, L. Templeton, D. Templeton, M. Spackman, R. Destro, R. Hoier, A. Stevenson, A. Mathieson, J. Schneider, W. Weyrich, S. Larsen, F. Mo, S. Wilkins, J. Gjønnes, C. Howard, D. Creagh, T. Sabine, W. Hendrickson, A. Fox, M. O'Keeffe, W. Kuhs, R. Cheary, H. Juretschke, G. Moss, T. Willis, W. Parrish, J. Howard, D. Feil, R. Garrett, G. Chapuis, H. Hope, J. Harada, Y. Wang, B. Moss. 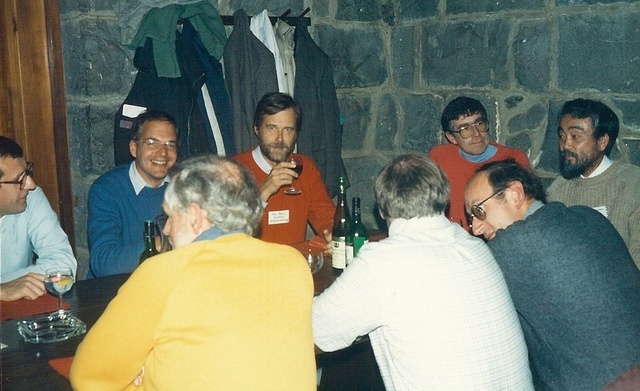 Identification key for participants at the 1987 International Symposium on Accuracy in Structure Factor Measurement. H. Klapper, ?, and Judith Howard helping out with the night's entertainment. 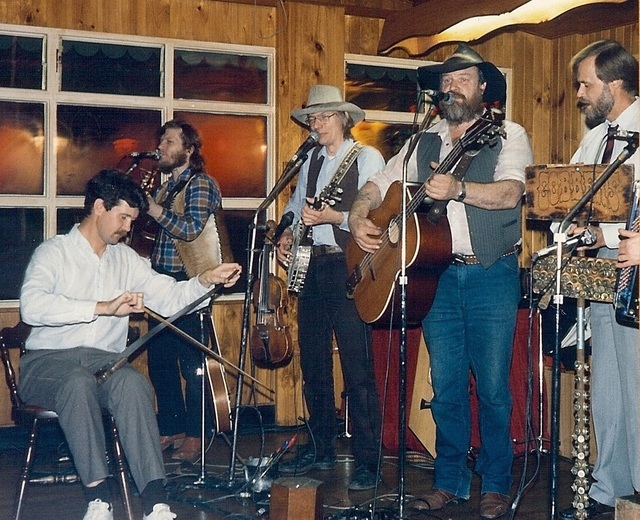 Sandy Mathieson in the foreground. 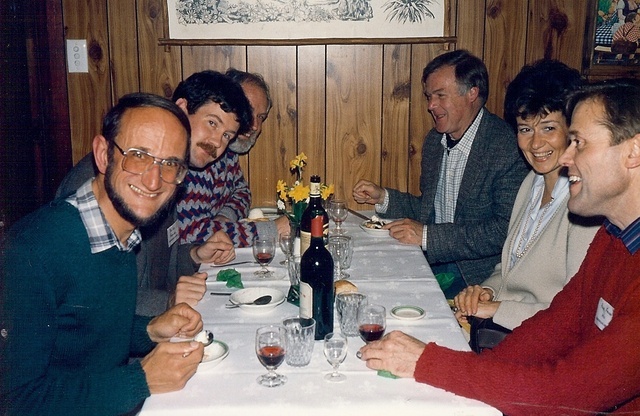 Barbara Moss, Mark Spackman, Terry Sabine, Jimpei Harada, Yu Wang, ?, ?, Dieter Schwartzenbach, Andrew Stevenson, Mick Bevan. 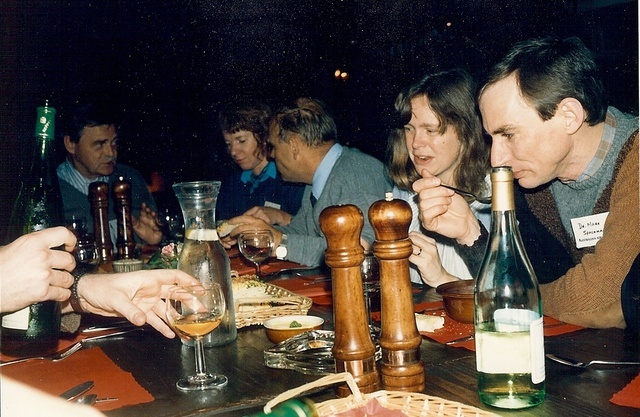 Sandy Mathieson, Judith Howard, ?, Barbara Moss, Mark Spackman. 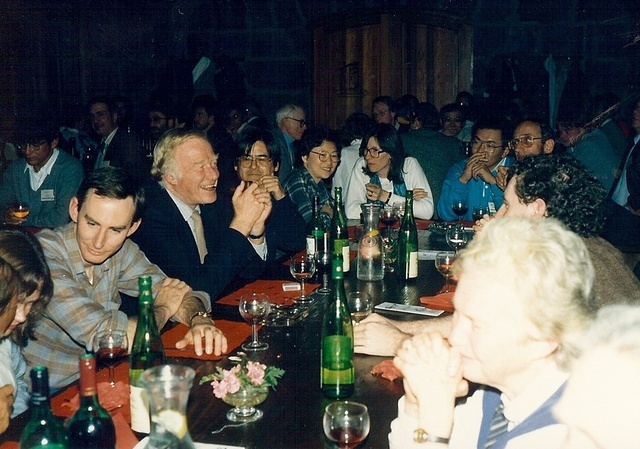 Dieter Schwarzenbach, ?, Chris Howard, Dudley Creagh, ?, ?. 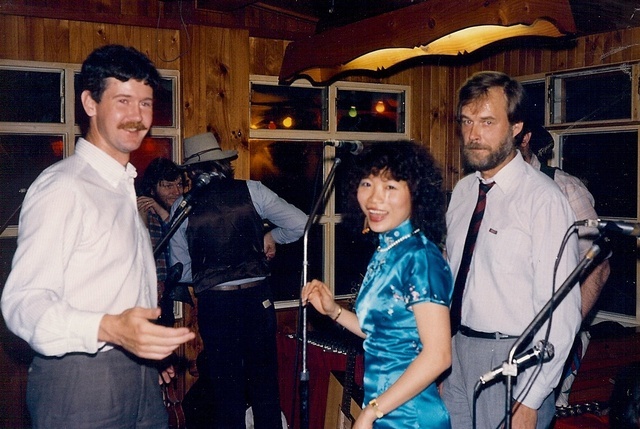 Sandy Mathieson, Norio Kato (second and third from left). Ian Robinson on the saw.
? 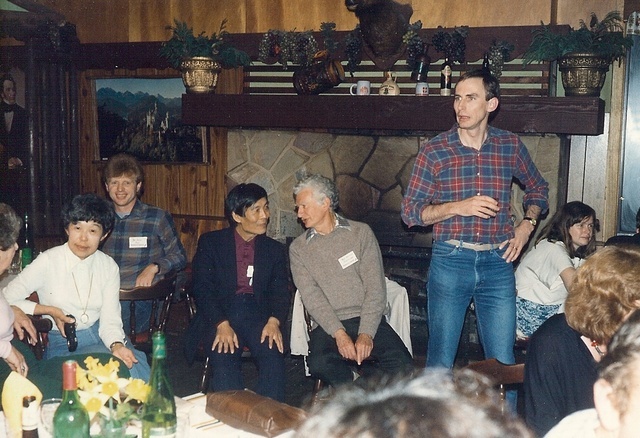 , ?, Norio Kato, ?, Mark Spackman, Barbara Moss.